With a flurry of bids on Tuesday evening, Christie’s jumped into the record books. 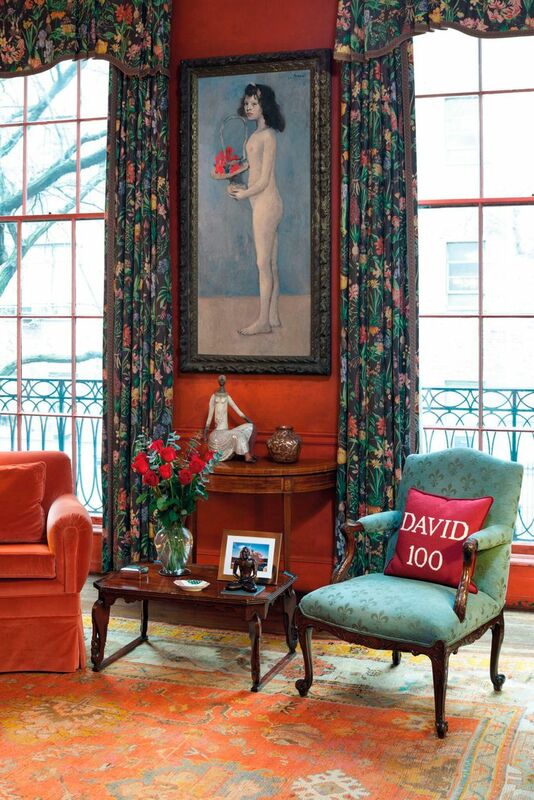 This week, the New York City auction house is hosting a three-day sale of iconic art pieces from the collection of the late Peggy and David Rockefeller. Thanks to the wealth amassed by the family, the pair had built up one of the most important art collections in the world. According to Christie’s, the first night of bidding resulted in $646 million in sales. 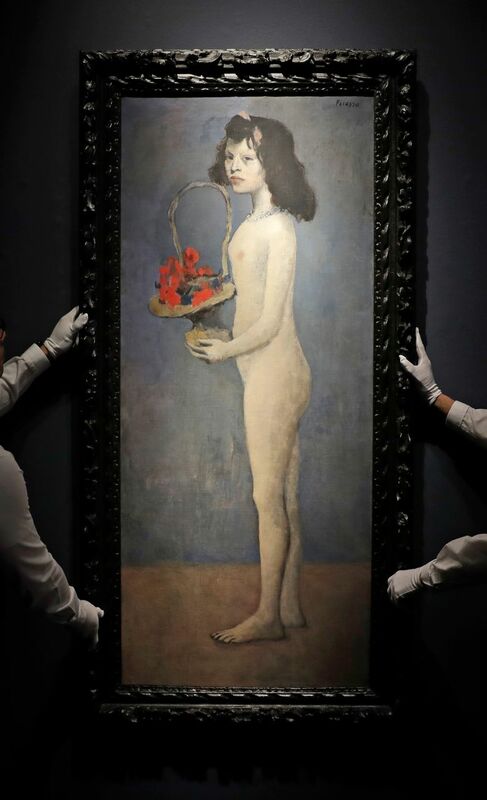 The slate of pieces – which include items from 19th and 20th-century artists like Juan Gris, Paul Gauguin, Edouard Manet, Henri Matisse and Claude Monet – was a record breaker for the “most valuable collection sold at auction,” CNN reported. 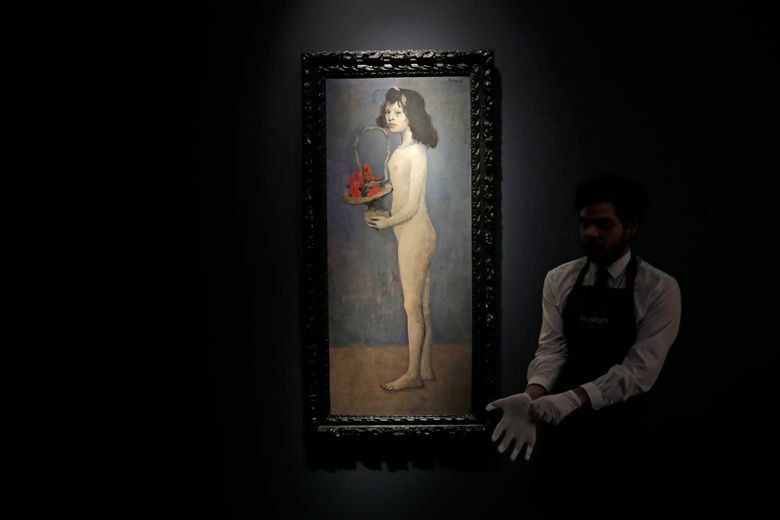 The piece with the highest price tag was a 1905 portrait by Pablo Picasso titled “Fillette a la corbeille fleurie.” The painting sold for $115 million — but also has kicked up controversy over the artist’s sexualized depiction of a young girl in the current “MeToo” atmosphere. Picasso biographer John Richardson says the painting’s subject was a girl named Linda who “sold her body as well as her roses outside the Moulin Rouge.” She also posed for artists, including Amedeo Modigliani and Picasso. Picasso met the Steins shortly after they purchased the painting, and he would become a fixture at the family’s salon, a hotspot for modernist writers, artists, and thinkers. The Rockefellers acquired the canvas in 1968. The identity of the recent buyer has not been identified. But the sale has raised new questions about the exploitative nature of the artist-subject relationship. HuffPost’s Priscilla Frank wrote this week that “Linda’s is a paradoxical position many women deemed ‘muses’ occupy, their images iconic and their identities irrelevant.” The question takes on additional importance against the backdrop of Picasso’s documented later abusive relationships. The “me too” movement, with it’s renewed focus on how historically men leverage power against women with impunity, only deepens the issue with the canvas. “For centuries, women like Linda, who pose for and collaborate with powerful male artists, have been seen but not heard, objectified rather than humanized,” Frank wrote. The first night of the Rockefeller sale saw other record sales. A Henri Matisse canvas – “Odalisque couchée aux magnolias” – sold for $80.7 million. According to CNN, the artist’s highest selling price before Tuesday was $46.4 in 2009. Claude Monet’s “Nymphéas en fleur” was sold for $84.7 million, beating out a 2016 Monet sale at $81.4 million. David Rockefeller, grandson of John D. Rockefeller, founder of Standard Oil, was chairman and chief executive of Chase Manhattan Corp.